A new bright, blue sky replacement with fluffy, white clouds can evoke positive feelings about your real estate images. We can add those elements to your photo after-the-fact in post production. This visually improves the quality of an exterior architectural photo and elevates it to another level. We would be happy to quote a price for this service. 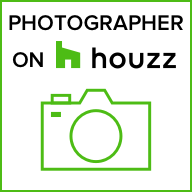 This goes beyond what most real estate photographers can do. Prices are quoted on an individual job basis. A new sky can change the whole feeling of a real estate exterior image.